This is a fun game to help you with prepositions of location. 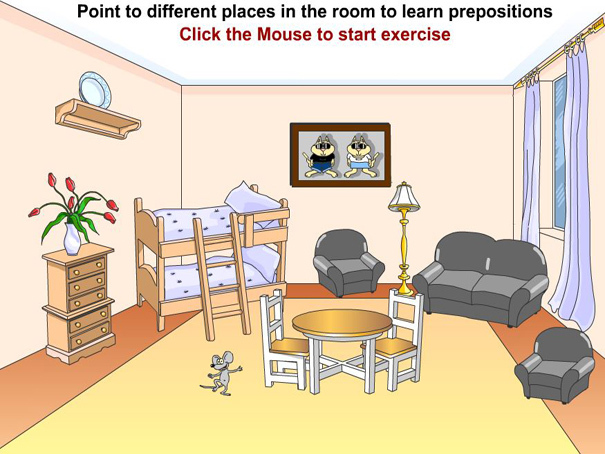 Look to see where the mouse is around the room and learn which prepositions are used for each location. Can you guess the correct location of the mouse as he tries to hide from the cat?